Best Hoverboards For Kids and Adults Explained. 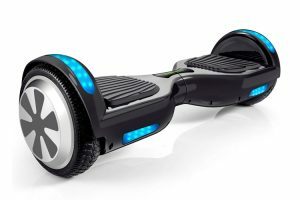 Read hoverboard reviews, compare features and best prices. You are about to discover the Best Hoverboards of 2018. While every kid on the block wanted a hoverboard in 2018, Hoverboards are not just for kids. Adults find it fun to cruise around the neighborhood on two wheels or use it as a last mile vehicle. Manufacturers of Hoverboards have improved safety standards, stability, power, range and design in the last year. Kids and teens still remain the primary users of Hoverboards and brands cater to them and their parents with designs and finishing touches. Looking for the best Hoverboard for your kid? You are in the right place, read the reviews and opinions below. Hoverboards or self-balancing boards … whatever you call them, these two-wheeled scooters are gaining popularity by the day. It may have been a fad from the time hoverboards hit the shelves, but more and more people are finding it fun and a great way to move around. A lot has changed over the last five years. If you are shopping for a hoverboard, you should know that these little boards don’t float on air as they did in “Back to the Future”. Instead, hoverboards are more like a cross between a scooter and a Segway but without the handlebars. You move forward by leaning into it and brake or reverse by leaning back. Pressure-sensitive footpads let you control speed and direction. Are hoverboards safe? ABSOLUTELY. Hoverboards manufactured since 2016 have to be UL 2272 certified. This means that hoverboards have to pass stringent safety testing to be eligible for sale in the US. 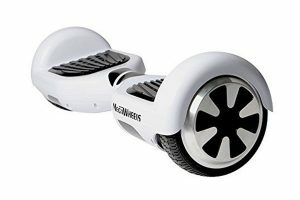 The best hoverboards are well-designed, easy to maneuver and operate well uphill and downhill. We took several models for a spin and realized that these hoverboards pack significant pull and stopping power. Here are our TOP 10 Power Models. This Megawheel model has enough juice for 7 ½ miles on a single charge. It has 6 ½-inch dual tires, dual motors and an amazing 15 degree climbing gradient. Maximum load capacity is 242 lbs. Customer reviews report that this hoverboard is easier to learn than most models. Its anti-slip pedals offer safe cruising. The Segway miniPRO comes with a seat and has a maximum load capacity of 220 lbs. It is light-weight, made of durable aircraft-grade magnesium alloy and runs on 10 ½ inch pneumatic air-filled tires. Customers love the military-grade shock absorption. Hit a maximum speed of 10 miles per hour with this hoverboard. This model features 6 ½ inch powered wheels and LED flashing lights in the front and back for safety. It comes with an anti-fire plastic material cover and a built-in Bluetooth speaker. Sometimes, it isn’t all about speed. Combined with a lightweight shell, a sturdy board and an ergonomic design, this junior model offers a steady cruising speed of 3.1 mph and a distance of up to 6.2 miles on a single charge. It is a great hoverboard for children. The GOTRAX is known for its quick and easy training mode feature. It can cover a distance range of 12 miles at consistent speeds of up to 7.4 mph. Novice users, as well as children, will love this model even more for its lunar LED lights and cosmic colors. With its professional gyroscope feature, acceleration sensor and servo-control system, this VEEKO model provides the best balancing system in this roster. Among hoverboards, it has become a popular last-mile “vehicle” for its stability and durability. Shock-absorbing, non-skid tires make it an even smoother ride. The Jetson V8 is as rugged and as sturdy as it looks. Reach a top speed of 10 mph for up to 12 miles. This model responds well to shifts in body weight thanks to its independent gyros. Speed can be controlled through smartphone via app. The Jetson V8 includes built-in Bluetooth speakers, non-slip foot pedals as well as LED head and rear lights. This EPIKGO model features solid rubber tires for all types of terrain. It has a solid, water resistant body and is easy to maneuver in grass, mud and sand. Customers upgrade to this model for its extra foot space, stable ride and maneuverability. Powered by a 400W motor, it can take you as far as 10 miles on a single charge. The TOMOLOO Self-Balancing Scooter has a carrying capacity of up to 264 lbs. Customers who own this unit love its 300W silent motor. It isn’t as fast as the others with a maximum speed of 6 mph, but this is precisely what customers love about it. It’s a safety feature especially for kids. Roll over bumps and climb inclines of up to 15 degrees with this EVERCROSS model. With a 10-mile range and a maximum speed of up to 7 mph, this hoverboard is a safe bet for kids and novice riders. It comes with an integrated Bluetooth wireless speaker that you can link to a smart phone. Riding a hoverboard for the first time is always a daunting experience. We personally haven’t met a novice rider who hasn’t fallen off a hoverboard, but this shouldn’t stop anyone from learning how to ride on one. The best hoverboards to start with are those with excellent safety and self-balancing features. Here are our TOP 3 Hoverboards for Novice Riders. 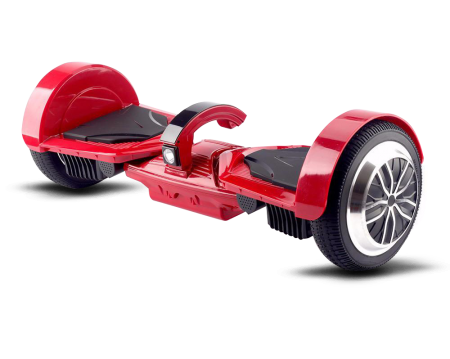 This hoverboard features a professional gyroscope, an acceleration sensor and a servo-control system. These features guarantee great balancing assistance and stability. Top speed for this model is around 9.6 mph – a safe limit for anyone learning to ride. First time users love the EPIKGO for the ample foot space and easy maneuverability. Solid rubber tires make this model more stable. Customers have reported riding this EPIKGO model comfortably across grass, mud and sand. Distance range for this hoverboard is around 10 miles. The GOTRAX is popular among beginners for its training mode feature. It’s a good model for inexperienced riders, with a maximum speed rounding at 7.4 mph. Novice users will love this model even more for its lunar LED lights and cosmic colors. Once you’ve gained some skills, you want a hoverboard that guarantees good range and mileage. We picked out models that can get you further on a single charge. Here are our TOP 3 Hoverboards with the Best Range. The Vecaro TREK-X comes with a no-overheating guarantee. At a top speed of 10 mph, this hoverboard has a maximum range of 11 miles. Maximum load capacity for this model is 240 lbs. 8-inch powered wheels that provide a smooth ride as well as a 250W dual electric motor make the Titanium X-ONE a good model for long drives. Maximum range is 12 miles while top speed is 7.5 mph. 12.5 miles is definitely more than enough when it comes to hoverboards. The Segway miniPRO’s 10.5 inch pneumatic air-filled tires as well as its aircraft-grade magnesium alloy frame make it a great last-mile vehicle. Top speed for this model is 10 mph. Hoverboards for teens must look exciting. Safety, speed and distance aren’t enough. The perfect model must leave a long lasting impression! And we found a few that will! Here are our TOP 3 Best Hoverboard Models for Teens. You simply can’t go wrong with a Segway. The Segway miniPRO performs as good as it looks. It’s lightweight, made of durable aircraft-grade magnesium alloy and runs on 10 ½ inch pneumatic air-filled tires. We wouldn’t recommend doing stunts on any hoverboard, but customer reviews have reported ease of maneuverability on this one. What could be more exciting than cruising at 10 mph on a hoverboard? Its cruising with your favorite beats, that is! The built-in Bluetooth speaker on this one is built to last. LED flashing lights on the front and back are built-in for safety. Full control over speed through a smartphone app scores high with teens. This model responds well to shifts in body weight thanks to its independent gyros. The Jetson V8 includes built-in Bluetooth speakers, non-slip foot pedals as well as LED head and rear lights. Professional riders don’t recommend hoverboards for kids below 12. While safety standards are in place through the rigorous testing of a UL2272 certification, nothing beats a better sense of balance, responsible speed control and close adult supervision. If you truly must gift your young child with a hoverboard, always have them wear protective gear (helmet, knee pads, elbow pads). Here is our list of the TOP 3 Safest Hoverboards for Kids. This UL2272 certified model has enjoyed the highest sales and ratings from parents for ease and maneuverability. It comes in vibrant shades and features a light display that changes colors. Sometimes, it isn’t all about speed. Combined with a lightweight shell, a sturdy board and an ergonomic design, this UL 2272 certified hoverboard offers a steady cruising speed of 3.1 mph and covers a distance of up to 6.2 miles on a single charge. Perfect for kids who may be a little too adventurous the first time. Why an adult hoverboard? We chose the SagaPlay F1 Pro as a safe hoverboard for kids because of its dynamic equilibrium. It allows young riders to easily control the board by subtle shifts in body weight. In addition, this model has a maximum load capacity of 220 lbs. The introduction of newer technology always gives us that exhilarating, sci-fi experience we thought was only possible on the screen. These hoverboards, for example, are an invention which was inspired by the famous movie “Back to the Future”. They’re fun to ride, not to mention even your kids can enjoy them. 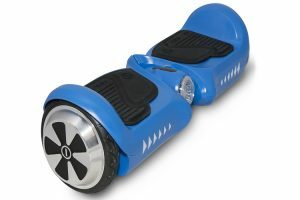 Thus, if you want to give your kids a taste of that famous Marty-McFly feels, minus the actual levitation, then our selection of the best hoverboards for kids can certainly make that come true. 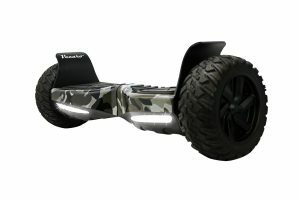 A hoverboard, also known as a self-balancing scooter, is a rideable platform that resembles a skateboard but more high-end as it consists of two motorized wheels that are connected to a pair of segmented pads where a rider places his feet. This offers a much cooler way of gliding down malls, offices, parks, and even in the neighborhood. However, it must be noted that when using these portable transportation devices, it is vital to have a humungous amount of core abdominal strength to properly balance the body for easy maneuver and to avoid serious injuries. Hoverboards are a convenient means of personal transportation especially for individuals who want to take a leisurely glide in the neighborhood or those who cannot go through long walks. To be able to understand how they operate, these self balancing hoverboards have a few basic components for you to get acquainted with. They are the gyroscope which aids in determining the pitch or balance of the machine, motors that keep the board balanced and for mobilizing the hoverboard forward, microprocessors which manage the power output to the motor, and the large batteries to fuel the device. With the advent of technology, the preconceived danger of using these self balancing hoverboards has now been debunked especially that they are now made from the best and carefully chosen materials which make it as the transporting device that is best for kids. Our selection of the best hoverboards for kids have two distinct types, and each type has distinct features and benefits that you may want to consider. These are certified self-balancing devices that have aced all the safety examination procedures. It is lightweight and is made of aluminum alloy rims to provide extra durability for shock absorption and specialized non-skid tires which are child-friendly and best for kids who are up for some adventure. A modification that is close enough to the Marty-McFly feels. These electric scooter hoverboards are a must-have as they have advanced features, making them the best hoverboards for kids. It already has an intelligent control system that adjusts automatically to the rider’s body statistics to give them a free and extremely suave ride. In the past, numerous reports on hoverboard accidents had been noted which triggered a high-alert alarm to parents that these toys, or so it may seem, can’t and will never be ideal for kids. However, with continuous innovations, we are pleased to assure parents all over the world that these boards are worth the try. Our selection of the best hoverboards for kids is equipped with overheat protection, low-battery protection, overspeed protection, and a slope protection which are all regarded as absolute prerequisites to ensure safety among its users. With numerous embedded protection chips and a double-patented lifetime warranty, these will surely guarantee the user’s safety and security which makes them ideal for kids. It can now finally debunk the safety concerns that most of the skeptical parents frowned upon. The 3rd Generation Intelligent Control System is a unique and specialized feature that the best hoverboards for kids use. This system can accurately monitor the changes in the user’s weight and center of gravity then automatically levels the platform for an easier mount and exceptionally smooth ride. In addition, it can easily be controlled within 30 seconds. 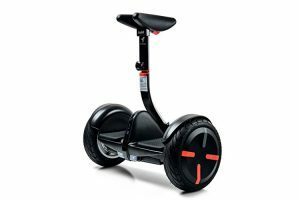 Such feature makes it best for kids, especially for those who are beginners since it allows them to have a good grip on their balance and prevents them from falling off the hoverboard. A three to six-hour charging time will enable you to optimize its maximum travel range of 9 to 17 kilometers in just a single charge. It even guarantees a continuous operating period of four hours and can accommodate loads of up to 225 lbs. Non-electrically operated self-balancing hoverboards, on the other hand, has a ten minute shut down function to avoid battery draining and prolong battery life. With enormous strength capable of bearing the weight of a car without deformation, the best hoverboards for kids can climb from a 15-degree to a whopping 30-degree angled slope. Our hoverboards come with two riding modes: the non-self-balance mode for a smooth and steady ride best for kids and beginners, and the self-balance mode which is smart and flexible, perfect for those who are already familiar with riding hoverboards. Our best hoverboards for kids are made of aluminum alloy, making them ideal for kids since they are portable, lightweight, and easy to carry especially after they run out of power. These hoverboards are powered by a 700-watt motor (250-watt dual motor) and a 36V Lithium-ion battery pack that guarantees a continuous operating period which lasts for hours! The best hoverboards for kids in our selection all have a built-in Bluetooth speaker which is definitely best for kids since it allows them to play and enjoy music while riding. Hoverboards have speed which varies depending on which type you prefer. Non-electrically operated self-balancing hoverboards are capable of reaching speeds of up to 9.6 mph, whereas electric motor hoverboards can reach up to 7.5 mph. The speed will primarily depend on your own preferences though. The safety features of the best hoverboards for kids are essential, especially during their operative time. The hoverboards in our selection sale are designed with a variety of protection chips to address the preempted concerns on malfunctions and especially explosions before the said innovation. They also have rubberized segmented platform feet paddings that will firmly hold your shoes as well as non-skid tires, making them ideal for kids who are still learning to use the device. Hoverboards can travel several miles depending on their specifications, performance, and battery. Some of the best hoverboards for kids can even run up to 27 miles. On the other hand, non-electrically operated hoverboards can go up to 9 miles only. Your child’s safety should never be compromised no matter how much they are out and about for some fun. Safety and security should be given with utmost consideration. The best hoverboards for kids in our selection can provide you the assurance and join you hand-in-hand in fostering safety for your kids. We certainly don’t want your kids to miss out on the fun. As such, we only offer the best hoverboards for kids at a really affordable price. What are you waiting for? Shop now!